The toilet paper holder is too small for our toilet paper. 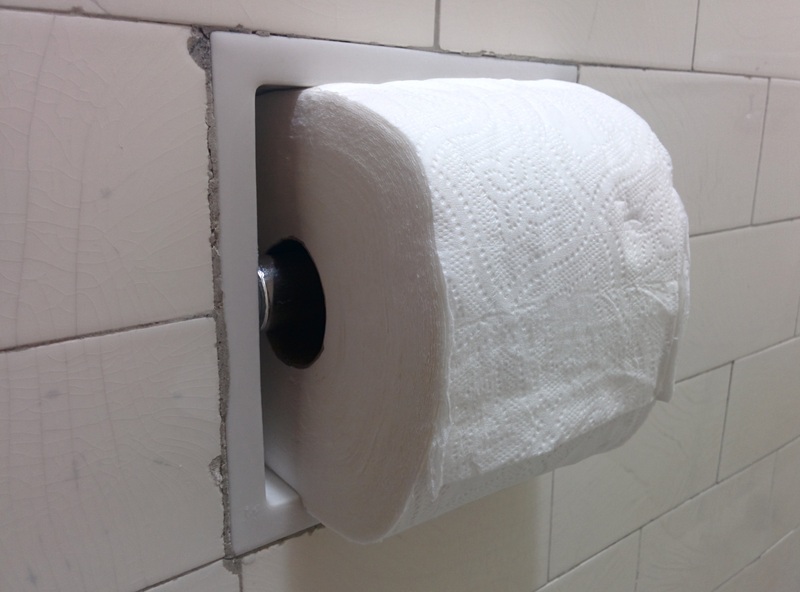 As you can see, the alcove is not large enough to accommodate a Costco-sized fresh roll and allow it to rotate. 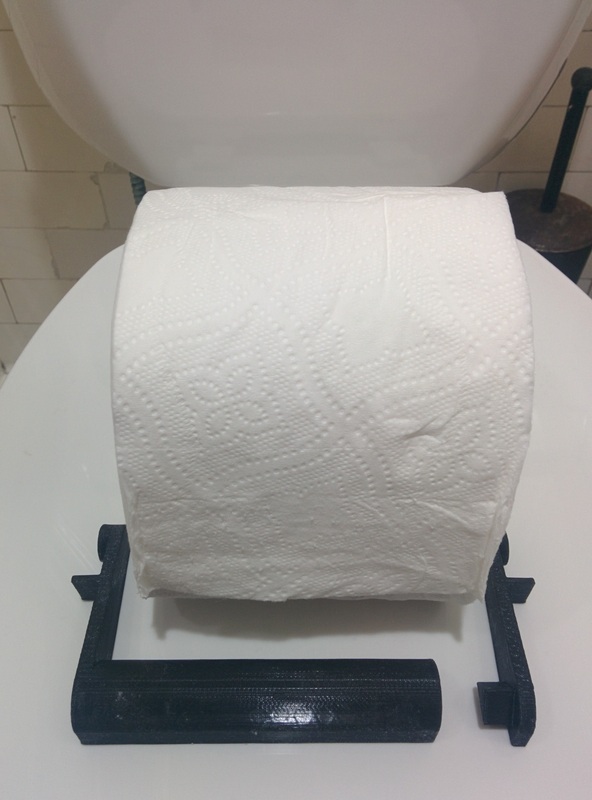 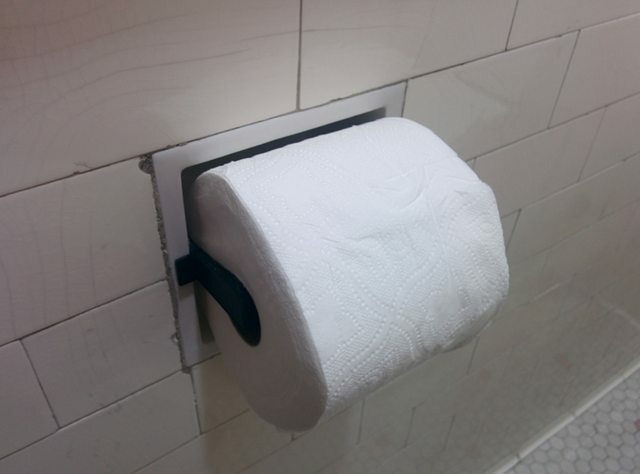 Design and 3d print a custom holder for the roll! 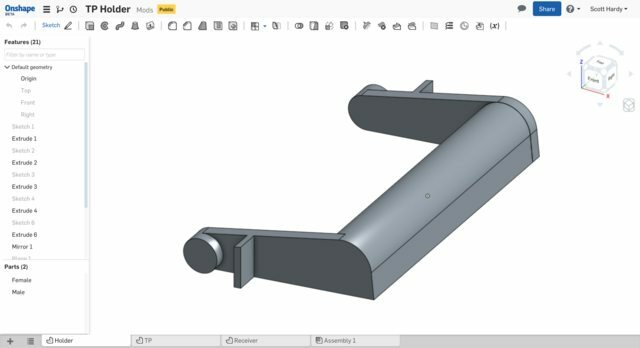 I spent a week or so iterating on a design, and eventually got a great solution!